Apple may finally be ditching its aging low resolution 13.3-inch 1440 x 900 pixel panels for a more up-to-date 2560 x 1600 variant manufactured by LG. 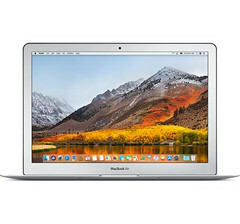 The next generation 2018 MacBook Air is expected to be the first to carry these new Retina displays when it ships later this year. Numerous unconfirmed reports already exist on an upcoming MacBook targeted at budget-conscious consumers. Details are unsurprisingly limited outside of the 13.3-inch screen size, but a new rumor from DigiTimes now points to the possibility of a Retina option with a native resolution of 2560 x 1600 pixels. If assuming a similar 13.3-inch screen size as the current MacBook Air, this would lead to a pixel density of 227 PPI to be nearly twice that of the existing 1440 x 900 pixel display (or roughly two-thirds of the latest XPS 13 9370). DigiTimes often cites undisclosed sources close to the Apple supply chain for many of its unconfirmed leaks. As such, the source is claiming that LG will be responsible for producing most if not all of the new Retina panels in time for Apple's unannounced MacBook with both Quanta Computer and Foxconn Electronics responsible for assembly and manufacturing beginning as early as May 2018. Apple is purportedly expecting to sell 4 to 6 million of these new systems depending on how quickly the supply chain can push them out the door. One conflicting piece of information, however, details the price of the upcoming MacBook. 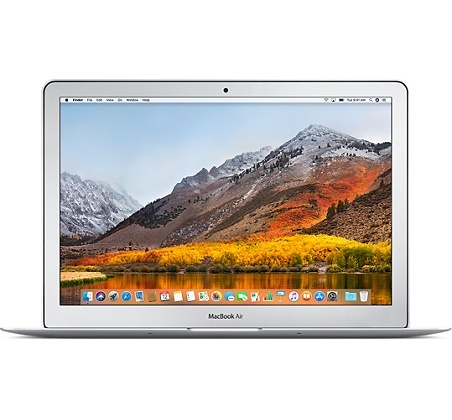 The source believes that the base MSRP could be the same as the current MacBook Air or even slightly higher whereas existing rumors have been boasting of a lower cost of entry. Thus, a price reveal of of 1500 Euros or $1400 USD would not be out of the question. Until then, Apple is remaining silent on its inevitable 2018 MacBook refresh.